In many people’s opinion (just check social media) Bronwyn Bishop – long-standing Liberal MP and culture warrior – is one of the most partisan Speakers in recent Australian history. As this article shows, she seems much harder on the ALP than she is on her Liberal and National colleagues. Now Labor frontbencher Tony Burke says Bronwyn Bishop will have to resign as Speaker if it is shown she signed documentation claiming $5,000 helicopter charter to attend a Liberal Party function as “official business”. Bishop will be either extremely determined or very lucky to survive the rapidly escalating attack from Labor, who will go for the jugular with undisguised glee. They never could stand her, and even less so nowadays after their experience of her as Speaker. The leader of opposition business, Tony Burke, called for the release of original documentation surrounding the taxpayer-funded travel and said there was “absolutely no way” Bishop could remain in the role if that were the case. 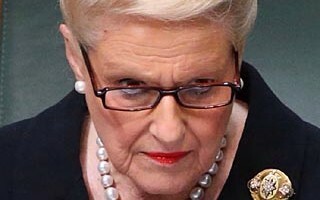 Bishop faced mounting political pressure this week about her use of entitlements, which included an expense of $5,227.27 for chartered flights from Melbourne to Geelong and back on 5 November 2014. The Speaker announced on Thursday she would repay the charter flight money even though she maintained her belief that the travel “was conducted within the rules”. Bishop must also pay a penalty of $1,307, because new rules implemented after a series of parliamentary expenses kerfuffles in 2013 affecting a number of senior figures including Tony Abbott (see here if you’ve forgotten) require politicians to repay an additional 25% of any adjustment to travel claims. Labor continues to pursue the issue, pointing to a standard government form for charter certification for parliament’s presiding officers that says “office holders may use charter transport (including aircraft, helicopters and other vehicles) for their personal transport in connection with their office holder duties”. According to that form, the office holder must certify that “knowingly giving false or misleading information is a serious offence under the Criminal Code Act 1995” and that they “travelled on the charter and it was provided for official purposes”. Burke said on Friday that Bishop should release the document that she had signed. The contents of the form would determine whether Labor would demand her resignation from the key role of presiding over the lower house of parliament, he said. “The normal form would say this was official business and would also say that there are serious criminal penalties if this is put in error,” Burke told Channel Seven’s Sunrise program. “Now, if she signs it off in the normal form and it is, you know, a Liberal party fundraiser that she’s gone to, then that’s the end of the matter, she can’t stay as Speaker, absolutely no way. News outlets are seeking comment from Bishop’s office about which form she signed, whether she will release it, and how the event in Geelong was consistent with her office-holder duties. The Speaker denied wrongdoing when she announced the plan to repay the funds on Thursday afternoon. “Whilst my understanding is that this travel was conducted within the rules, to avoid any doubt I will reimburse the costs,” she said in a brief statement. The opposition leader, Bill Shorten, had earlier demanded intervention from the prime minister, Tony Abbott, saying the case showed that Bishop “thinks she is so important that she can’t even be bothered getting a car between Melbourne and Geelong, a one-hour car trip”. The treasurer, Joe Hockey, added to the pressure by agreeing with a radio interviewer that the helicopter trip did not pass “the sniff test”. “Look, instinctively it doesn’t,” Hockey told 2UE. The treasurer responded to repeated questions about the Speaker’s expenses by calling on Bishop to explain matters. Unsurprisingly, after the repayment announcement, senior ministers sought to move on from the matter. The foreign affairs minister, Julie Bishop, said she would not pass judgment because she did not know the context or the circumstances in which the trip was undertaken. “But what I do know is that she has decided to repay the amount, including a penalty, so I think that should be the end of the matter,” the minister told ABC’s 7.30 program. 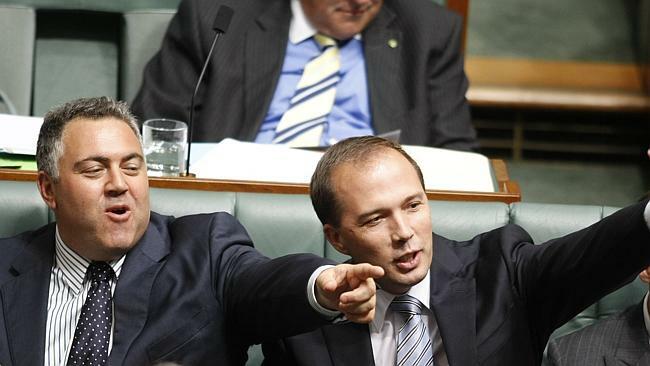 The leader of the house, Christopher Pyne, said the Speaker was “doing a superb job” and had his full support. But the Government may find the matter is not swept away quite so easily. For one thing, the case has eerie echoes of the problems in which former Speaker Peter Slipper found himself up to his neck, which resulted in on-going attacks from the Liberals and Nationals on his position. On 8 January 2013 the Federal Police summonsed Slipper alleging three offences against Section 135.1(5)/ Criminal Code Act 1995 (Cth) in relation to allegations concerning the use of Cabcharge vouchers. Slipper was due to answer these allegations in the ACT Magistrates Court on 15 February 2013. According to documents released by the court, Slipper was alleged to have used Cabcharge to pay for hire cars to visit a number of wineries in the Canberra region in January, April and June 2010. On 28 July 2014, Slipper was found guilty of dishonestly using taxpayer funds to visit Canberra wineries for his own enjoyment. On 24 September 2014, he was sentenced to 300 hours community service and ordered to reimburse taxpayers for the $954 total that was spent on the trips. Slipper appealed the sentence, and the case was heard in December 2014. Justice John Burns reserved his decision until 26 February 2015, when he ruled the appeal be upheld and the conviction and sentence be set aside. Bishop may consider herself fortunate that the matter is breaking out on a Thursday and a Friday, as such stories can “die a death” over the weekend as the population turns its head to sport and relaxation. But Labor will be doing everything it can to ensure that doesn’t happen. Bill Shorten and his colleagues scent blood and they are overdue a win. Tony Abbott gone? Could be out as early as next week. There is a scenario that could see embattled Aussie Prime Minister Tony Abbott overturned as quickly as next week. This weekend, the election in Queensland will be a disaster for the governing Liberals, or as they are in Queensland, the merged Liberal National Party. Such an outcome is hard to imagine, given their massive majority in Brisbane, but disaster it will be nevertheless, in this most reliably conservative of conservative Australian states. Not happy, Tony. Not happy. We think it unlikely that the LNP will lose Government, although it is possible. Labor needs to achieve a 12 per cent swing to gain 36 seats if it is to win a majority government and recent polls have put the party within striking distance. But we think the swing is likely to be nearer 8-10%, especially as we expect Newman to do marginally better than Opposition Leader Annastacia Palaszczuk in the leader’s debate in Brisbane at 1pm today. In that case what will happen is their majority will be slashed and loads of their seats lost. And we expect their leader, Campbell Newman, to lose his seat, too. Already desperate right-wing constitutional nerds are taking to the airwaves to argue he can stay as leader even if he’s outside the Parliament, ignoring the obvious fact that his personal standing will have been effectively rubbished by such an outcome. Given the scale of the debacle, the blame will inevitably be sheeted home to Abbott on analysis TV and all the major talk shows on radio, worsening the standing of a man who is now so noxiously unpopular that he was effectively banned from campaigning in Queensland during the election. What will make the sting deep and enduring is that Palaszczuk’s campaign has focussed repeatedly on health and education – the very areas Abbott has been foolish enough to attack repeatedly at a Federal level. The contrast can hardly be more stark or more telling if the Queensland election plays out as we expect. But amongst all this gloom, what is even worse is that Abbott is slated to talk to the influential National Press Club lunch on Monday immediately after all that sickening analysis. Never at his best when challenged publicly, there is no doubt that he will be embarrassedly umming and erring his way through a barrage of amused questions first of all keeping the “Why knight Prince Phillip?” hare running, (which he will seek, but fail, to deflect), but then, more importantly, questions seeking to pin the blame for the Victorian election, the Queensland election, and the Government’s low standing on him personally. Speculation on his leadership will not be put to his ministers, as in the last few painful days, it will be put to him personally. In response, he will seek to combattively state that, “Er, um, I will be taking our great party to the next election, I am focused on selling the Government’s successes”, and end up sounding, in other words, exactly like every other party leader has sounded just before they’re rolled. And reminding everyone that selling his Government’s “successes” is exactly – precisely – what he has failed to do. There will be nowhere for him to hide from this grilling, (we could almost feel sorry for him if he had not brought this all down on his own head), and he will wilt under its blistering heat, looking ever more uncertain and strained as it wears on. Journos in the audience will have been assisted by plentiful leaks and background briefings from anti-Abbott forces in his party room, manoeuvring to get their preferred replacement into a position where the crisis has become so awful as to prompt their immediate elevation to the top job. If, by some miracle, Abbott performs strongly at the Press Club, the inevitable chippy-chippy-chop may be delayed a little, but we repeat our oft-stated opinion that his metaphorical decapitation is now inevitable. Indeed, as we stated before he won the last election, it always was going to be. He just has the wrong skills to be PM – always did have – and he has not managed to curb those elements of his personality that make him so self-evidently unfitted for the role. The Liberal Party is infinitely more ruthless than its Labor opponents, even though that is not generally understood. They know any replacement – and it would take a miracle for them not to choose the country’s most popular politician in Malcolm Turnbull – will need time to settle the ship before the next election. They will not risk losing what should have been an unloseable election against the largely inoffensive but also un-inspirational policy-lite Bill Shorten. Time marches on, but Abbott’s Prime Ministership will not. Like some awful, inevitable Shakesperian tragedy, he will pay the ultimate price for the hubris that saw him persuaded to stand against the infinitely smarter and more electorally appealing Turnbull in the first place. And if Turnbull does take over, we don’t expect to see Hockey moved from the role of Treasurer, in which he has been an unmitigated disaster. One thing will save him. If he were moved, we think Julie Bishop will put her hand up for that role – a step too far for the mad-eyed Western Australian in our view – and she would fail in it just as Abbott has failed as PM. It’s one thing to blather on aggressively about how rotten Vlad Putin is for shooting Australians out of the sky. It’s quite another to steer the ship of state’s financial well-being. Nothing in her period of Opposition or in Government shows her up to such a task. Turnbull will not risk her messing things up for him, so will be inclined to leave Hockey in place. In which place, he will be told to smoke no cigars in public, to stop shooting from the lip about the poor driving less than the rest of us, and essentially to shut up and leave it all to Malcolm. You’ll hear a whole lot less about “structural deficit” under Turnbull and much vaguery about “good management”. The great irony of the Abbott experiment for him and his backers like Nick Minchin is that his failure will kill hard right economic solutions for a decade. Australia will return quietly comfortably to “tax and spend”, and not even notice the difference. and all of Abbott and Hockey’s painful Thatcherite striving will be forgotten. Shakespearian indeed. The one thing against Abbott being moved against next week, of course, is that Parliament is not sitting again till 9th February. Liberal MPs would have to be called back to gather specially for a party room spill. Such an outcome is rare, but not unknown. It could, though, just save his bacon. But not for long. 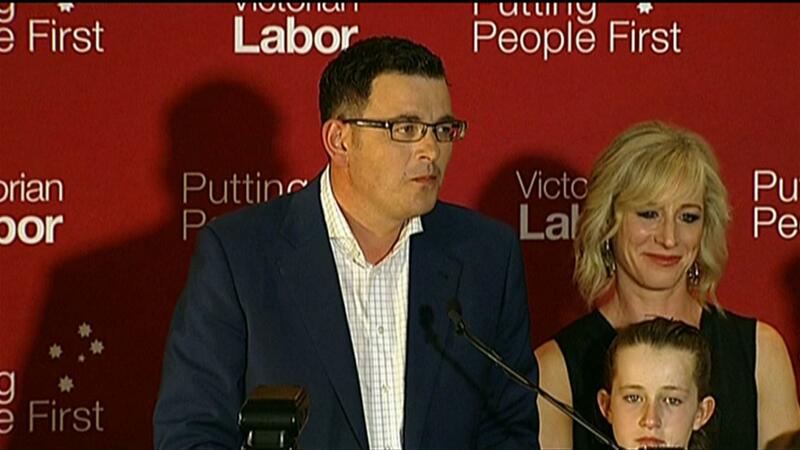 Greg Combet, the ALP’s missed opportunity? Good news for everyone who has missed Julia Gillard in public life – and there are some – she’s back. The former Prime Minister has lain low since the 2013 leadership spill — but she appeared in public today to launch a former colleague’s book. Looking healthy and cheerful, (and on her pension, frankly, why the hell not?) Gillard launched former climate change and industry minister Greg Combet’s memoir, The Fights of My Life, at the NSW Trades Hall this morning. In her address, Gillard issued a language warning to readers — joking that anyone who blushed from bad language needed to have a cold compress on hand. Interestingly for us, Gillard also confirmed she urged Combet to run as leader when it became clear it was her time to go, the Sydney Morning Herald reports. She said: “I wanted to see the next part of his life being for the support of his colleagues to lead the Labor government into the 2013 election but it was not to be”. Former Labor minister Combet recently told the ABC’s 7.30 that Ms Gillard had offered to stand aside for him if he wished to do battle with Mr Rudd. Instead he retired from politics at the 2013 election. In our opinion, history will judge that this was a crucial loss of nerve. Combet is tough as nails, as seen by his principled and courageous leadership of the dockworkers in their battle with Patricks and the Howard Government, especially when battling the intransigence and bullying of Peter Reith. As the veteran of dozens of industrial negotiations, he had the sort of “real world” experience that a political junkie like Tony Abbott lacks, and although he would probably still have lost to Abbott on the principle of Buggin’s Turn (Labor was surely un-re-electable, wasn’t it?) he would have made a thoughtful, serious, incisive leader of the Opposition and #onetermtony would have very predictably been up for taking in two and a half years. As it stands, we suspect our next Prime Minister will be Combet’s mate Bill Shorten, (although he did back Albanese in the leadership contest), so no harm done, from their perspective. But with his gnarly, bespectacled intensity and sheer intellectual clout we think Greg Combet might just have been the Prime Minister Australia never suspected he could be. We said so at the time. No-one agreed – in fact, we were were laughed out of court by everyone we advanced the theory to. Which is why we now find Ms Gillard’s and Mr Combet’s revelations interesting. Or to put it another way, nar nar nar, we told you so. We’re historically pretty good at picking winners. Despite a recent (but very temporary) bump in the poll standings for Tony Abbott over his brawny Putin-tweaking response to the downing of MH17, put your money (if you can find someone to take it) on Malcom Turnbull to replace him in a coup before Christmas, especially after the shambolic ALP in Victoria nevertheless manage to reasonably comfortably topple the incompetent but poorly-communicating Liberal-National Party Coalition in November. In Victoria, Labor are current 3-1 “on” a victory, (hardly worth the risk, except one third of your stake for certain is better than none of it for getting it wrong, we guess) and the Coalition 2-1 against. If the Coalition suddenly lifts its game we reserve our rights to change that prediction, because if a week is a long time in politics then 122 days and 5 hours is a positive aeon, but we don’t see any real sign that is going to happen. Considering the Napthine Government just delivered the highest spending infrastructure budget in Victoria’s history without borrowing a cent, one does actually feel rather sorry for them. Of further interest to those who mainline psephology, (oh, look it up), we see that Labour in the UK are 5/6 to win the largest number of seats there, against Evens for the Tories. We think that’s too tight, and Labour are currently much better placed. We’d be interested, if you disagree, to know why. And in the US the Democrats are paying 1.60 to the dollar against 2.25 for the GOP. Unless Hillary is discovered doing something highly illegal between now and 2016, we reckon you should lump on, although the mid-terms later this year will be a further helpful guide, so maybe hold off for now. Abbott and his friends make their opinion of “temporary” tax increases very clear after the devastating Queensland floods. Now he proposes exactly the same idea. We are on record as eschewing the general “bagging” of politicians per se, believing that some respect for our system of Government – some general belief that it is not entirely corrupted and merely the venue for amoral power-hungry sociopaths to do nothing but big note themselves and promote their career – is necessary for the well-being of the community and the country, but sometimes, even for a committed small-D democrat, it is very hard not to despair and simply scream incoherently “a plague on both your houses”. It’s not just the nonsense they spout: it’s the nonsense they spout when they defend each other spouting nonsense. If you give it, you have to take it. Abbott ruthlessly and effectively crucified Gillard. Is it his turn now? In Australia, senior Liberal Christopher Pyne (or “Christopher Robin” as he is known in the Wellthisiswhatithink household, because of his repeatedly childish behaviour in Parliament and elsewhere) has denied that the introduction of a “deficit levy” – read, an extra tax to pay down debt – would be Tony Abbott’s “Julia Gillard moment”, (Julia Gillard being the immediate past Prime Minister, deposed by Abbott, who never got over being christened Juliar for bringing in a carbon tax when she had said pre-election that she wouldn’t), despite a majority of Australians saying the Abbott move would indeed be a broken promise. Abbott promised repeatedly not to increase taxes. “You can’t tax your way to prosperity” was a mantra. So was “Tax cuts, without new taxes”. Despite this, the Liberal-National coalition frontbencher played down the latest Galaxy poll, which showed a whopping 72 per cent believe the tax hike would indeed represent a blatant broken promise. Australians know the government will have to make tough decisions to get the budget back on track, he said. “They know it won’t be easy and it is important that everyone shares in that burden of repairing the damage Labor did to the economy and to the budget,” Mr Pyne told ABC TV on Sunday. The Australian Government can apparently afford 58 of these, but now needs a new tax to pay for the “budget crisis”, plus it needs people to work till 70 to get their pension, and it is going to make wholesale cuts in the coming budget. When people work out that these are choices, and not inevitabilities, the backlash for Abbot could be horrible. This is, however, in the face of the Government paying a massive $12.5 billion to buy new fighter jets, the serviceability and usability of which are the subject of on-going debate in defence circles as well as the country as a whole. The contrast between “toys for the boys” and forecast swingeing cuts to welfare has brought the debate into sharp relief, not to mention damaged the Government’s standing. It now trails the Labor Party that it just replaced by four percentage points. Two party-preferred support for the coalition has plunged 5.5 percentage points since the September election, with its vote now 48 per cent compared to Labor’s 52 per cent. Short honeymoon even by today’s low-attention ten-second soundbite standards of public discourse. According to the poll, published by News Corp Australia, the Abbott government is facing a voter backlash over the possible new debt tax on those earning more than $80,000. Certainly, the government has yet to confirm the deficit levy will be included in the May 13 budget but it seems that only a howl of outrage from the Australian middle class will prevent it. But with huge – some would say laughable – bravado, the Prime Minister has said any levy would be temporary, and therefore wouldn’t break an election promise not to increase taxes. So let’s just get that clear. If you only break a promise for a while, it’s not a broken promise, right? So what does it become? A bent promise? A slightly tarnished promise? Do we now have a whole new level of Government probity (or otherwise) to parse? Newly-minted Opposition Leader Bill Shorten finally woke up from his slumber and weighed in. He said Labor would oppose a deficit levy, and urged the prime minister to drop the tax hike before next week’s budget. “Increasing taxes on working class and middle class Australians is a terrible mistake, and people will not forgive Mr Abbott for breaking this very big promise,” Mr Shorten told reporters in Melbourne. Whilst we find it somewhat stomach-churning to hear it from one of the core team who allowed wasteful spending to again become a way of life for Australian Governments – and who lacked the guts to challenge Gillard for the top job in time to actually repair Labor’s fortunes – we think he’s right. Having allowed his plans to leak and become discussed, Abbot is now between a rock and a hard place. If he backs down on the new tax because his advisors reckon he can ride it out (or, more likely, are so deep in their bubble they fundamentally misjudge the anger it will cause) then he will be seen to be weak in the fight against the very fiscal crisis that he has promoted as needing fixing. If he levies the tax, he will be pilloried for breaking the most fundamental pre-election commitment he made. We are under no illusion. We think Abbott is about to hand the Liberal Party leadership on a plate to the man who should have had it all along, Malcolm Turnbull, were it not for the “hard right” putsch that idiotically deposed him in Abbott’s favour by a single vote. Not immediately, not in the very short term, but before long. You heard it here first. Our tip would be just before Christmas 2014, as it was even before Abbott won the General Election. 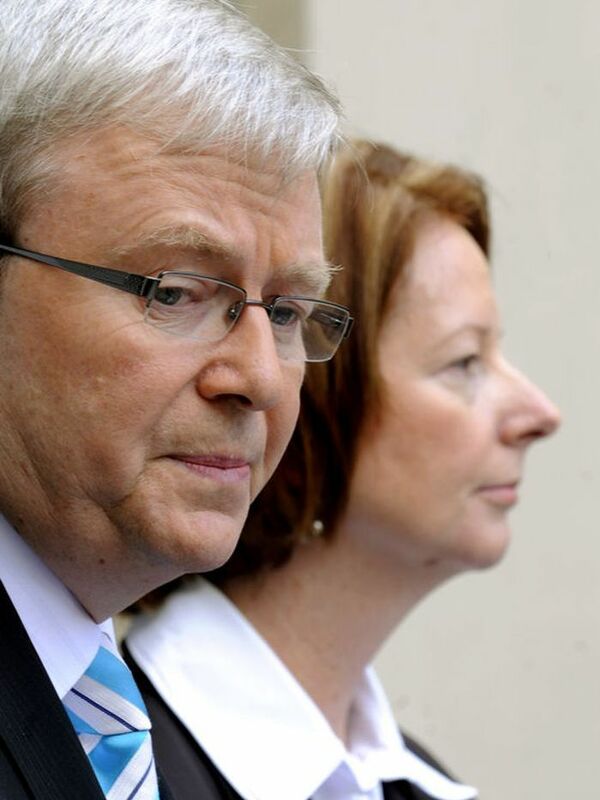 Rudd and Gillard - this one could run and run. And if they don't, you know what? The other side could join in, too. Geez it'd be nice if they gave a toss about us out here in the real world. So the Foreign Minister of Australia resigns in a fit of pique over criticisms that he is not being loyal to the Prime Minister – surely the worst kept secret in politics – and it’s on for man and boy as they say over here. Well, woman and boy, actually, the woman being Julia Gillard, so recently fêted as Australia’s first female Prime Minister but now mired in accusations of incompetence – and Kevin Rudd as the boy she replaced when he in his turn was widely considered incompetent, and I say “boy” because he really does look like nothing more nor less than the Milky Bar Kid, which is very cruel for a man of some standing and intellect, but really quite amusing all the same. So, we have a spill at the Labor caucus next week, and now the meeja blather on ceaselessly about the “leadership crisis” in the Labor Party, boring the pants off everybody except the politicians themselves and a tiny minority of political junkies and apparatchiks. But to my mind, we do not have a leadership crisis in Canberra. We have an un-leadership crisis. And ironically, it is not restricted to the ALP. Whoever wins the caucus vote next week will get an opinion poll bounce – you watch – plucky little Kevin because he is undeniably more popular with the electorate anyway, who feel he was treated shabbily when they got rid of him, (conveniently forgetting that he was got rid of because the public were bucketing him in opinion polls), or “real” Julia, for successfully rallying her troops and finally showing some grit and mettle of her own. And when that happens, expect the hard heads in the Liberal Party to start taking a long and detailed look at the relative popularity of their leadership options – Messrs Abbott and Turnbull Esq – versus whoever is Labor leader. Think the faceless men of the Labor Party are ruthless? I reckon the top end of town leave ’em for dead. If there’s the tiniest inkling that the Mad Monk (aka current Liberal leader Tony Abbott, he of handlebar ears, ridiculous swimming costumes, and extreme right wing Roman Catholic-tinged views) could fall at the final hurdle then he’ll be replaced by telegenic moderate Turnbull faster than you can say “well, Abbott only won by one vote last time”. Meanwhile the voters deal with ever rising cost of living pressures and look nervously over the horizon at the chaos in Europe and the USA and – quite rightly – mutter angrily that their political masters simply don’t live in the same anxious country as them. Same country? They barely inhabit the same planet.